The Cisco CCNA (Cisco Certified Network Associate) associate level certification will give students the ability to work with routed and switched networks. This certification is part of the Cisco certified professional program and is aimed at junior network administrators. The CCNA course covers the installation, configuration, operation and troubleshooting of medium-sized networks as well as teaching the fundamentals of working with WAN (Wide Area Networks), wireless concepts and network security. This is an internationally recognised and accepted certification which will further enhance the career of any IT professional that wishes to validate their skills in networking as they will be able to swiftly identify and solve more intricate network problems. To earn your Cisco CCNA qualification you will be required to study two courses and pass both of the exams – one for each course. After passing the first exam, you will earn the CCENT (Cisco Certified Entry Networking Technician) qualification. Once you have passed the second exam you will then gain the CCNA certification. 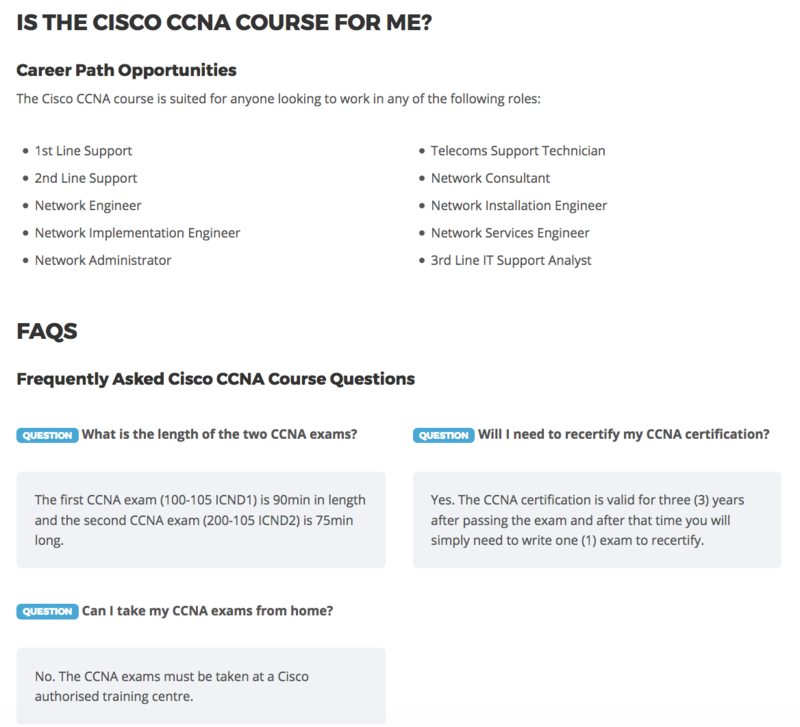 There are no prerequisites for studying the Cisco CCNA courses.